Madison Advisors today announced the availability of its new research report, “Color Migration and Digital Delivery: Trends in Transactional Communications.” Building on the previous Madison Advisors study published in 2017, the 2019 study offers an update to the state of migration to color inkjet technology in the transactional print industry. Madison Advisors collected image volume data from participants in enterprises that operate an internal print facility, enterprises that outsourced print and mail, and print service providers. The focus of the research was to understand trends in transactional business-to-consumer (B2C) communications with respect to adoption of color for printed communications, management of customer preferences and omni-channel delivery. 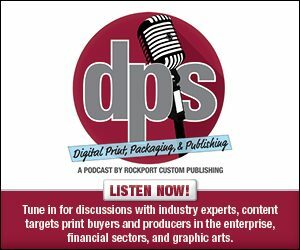 • One hundred percent of the print service providers and enterprise in-plants that participated in the study have made an investment in color inkjet technology. • The migration from monochrome to color is behind expectations, despite numerous benefits. • From a service provider perspective, price and a lack of understanding of the benefits of using color are the major barriers that prevent conversion to color. • Electronic delivery is a higher priority than converting monochrome documents to color; however, none of the participants have adoption rates higher than 50 percent. • Forty-three percent of the enterprises in the study indicated they are not currently collecting customer preference data; however, 57 percent of the print service providers are able to collect and manage preference data on behalf of their clients through an internally developed solution. • While technology continues to move toward digital-only interactions, print is still a vital component of customer communications management (CCM) and plays an important role in an omni-channel strategy. By allowing print and digital to work together, organizations can enhance customer experience and increase customer engagement with their brands.